Many thanks for your comment. There shouldn’t normally be a problem sending text messages to Spain – have you checked to make sure you have the right phone number (including the +34 dialling prefix for Spain)? You’ll also need to make sure you have some credit on your account as international text messages will not be included in your bundle. Thanks, I can only think there is a problem with their phone. On the GiffGaff site they only seem to allow UK sim card delivery, delivery to the U.S. is not an option. Thanks for your comment. I believe the giffgaff website is sometimes a little bit glitchy. If you’re not able to order a SIM card from outside the UK, try visiting the giffgaff.com homepage and then ordering a SIM card from there. I think that normally solves it. Yes, the GiffGaff website is glitchy ordering from the homepage also fails due to an error message requiring that a U.K. valid phone no. beginning with 07 be used in the email box. That would seem to qualify as a GLITCH (Glitch Gaff) and not encouraging! When a PAYG tariff quotes, for example 3p per minute for calls, does that cover call to phones using other networks as well as your own network? Does it include calls to landlines? I’m only asking about calls within the UK. I’m trying to help a disabled person on limited income. She needs a large key handset and I’ve found the one for her but calculating the cost of using it is difficult. Thanks for your comment. Typically, most networks charge the same rate for calling UK landlines and mobiles. In our price comparison table here, the headline rate listed is the cost for calling mobiles on another network. However, some of them also provide free same-network calls & very rarely, a slightly lower rate when you’re calling landlines. IF she has a 3G phone then a “3” PAYG SIM is cheap at 3p/ min, 2p/ text and 1p/MB. Otherwise O2 has the same, but you don’t need a 3G phone. CHECK the coverage first. Are you aware of any PAYG data bundle/add-on/package that lasts for more than 30 days or a month? I can”t find one and the only long lasting alternative is 1p per Mb (e.g. Three PAYG) which is a bit expensive (i.e. £10 per Gb of data). Thanks for your comment. Out of interest, could you explain the reason for wanting to have a bundle that lasts for more than one month? If it’s because you use data infrequently, but you typically need a lot of data when you need it, you could have a look at Vodafone’s Pay As You Go 1 (£1/day on the days when you use your phone for unlimited minutes, unlimited texts and 500MB of internet). In theory, this would allow you to use up to 5GB of data for £10, but you’re restricted to only 10 days of usage. Alternatively, if you’re a fairly light user, you could go for a slightly cheaper deal where unused data allowances roll over. If you do actually want a Pay As You Go bundle lasting for more than 30 days, I believe there are a number of mobile broadband tariffs offering this (e.g. lasting for up to 12 or 24 months). For instance, Three offers 24GB of data for £60 within up to 24 months validity (works out at around £2.50/month for 1GB of data). Which are the other networks that offer mobile broadband tariffs that last at least 6 months? I haven’t actually done a full comprehensive analysis of this, but I’m only currently aware of Three that offers such a package. You might be able to achieve a similar outcome using traditional Pay As You Go tariffs, though the price of doing this is likely to be much more expensive. Thanks for getting in touch. I’m afraid I haven’t heard of CTRL Mobile before! I’ll take a look into it, and will bear this in mind for future reviews! I’m wanting to buy a iPhone se on a payg basis. I text, but don’t use calls or internet because too expensive but would like to. As you can tell I’m clueless about how to get the cheapest deal. Can you help? Thanks for your comment. The good news is you can split your decision into separate parts, which would hopefully make this a little more straightforward. Firstly, you can buy a SIM-free iPhone SE from any of the retailers listed here. Once you’ve done that, you can use pretty much any Pay As You Go network – either one of the networks suggested on this page or see our PAYG rate comparison table here. We’ve also got a guide to the best SIM card for light users. A question on O2 PAYG, having looked at their site at the bottom it says this: ‘ 20MB block of data usage’ do you know what it means? Is that a good or a bad thing? And I am a fairly light user so do you think this would be the best network to use? Many thanks for your comment. I’m not quite sure what this means to be honest – can anyone else reading this article shed a little more light? I don’t believe it really affects the total amount you pay – it’s just how O2 calculates their charges in the background. As such, you may find the balance on your account lagging your actual data consumption (i.e. they won’t necessarily deduct a penny from your balance as soon as you use 1MB). I think I know what you mean, but all in all it is not something to worry about it. I am looking for a big button mobile phone for an elderly lady. She has free landline calls on her landline package and 10ppm for mobiles so needs a cheap PAYG for max 60 mins of mobile calls per month (her family are on mobiles). I thought of Three but it seems incompatible with all the big button mobiles I have seen as they appear to work on 2G only and giffgaff who are compatible with 2G phones are 15ppm. She is not interested in texting or using her mobile for anything other than calls. Any suggestions? It might be worth having a look at O2 Classic Pay As You Go – you can order a SIM card here from their website. They charge 3p/minute, 2p/text and 1p/MB (just like Three), but you’ll also get access to 2G coverage unlike on the tariff from Three. THANK YOU so much for the reply. It is a minefield out there and as I am ‘spending’ someone else’s money I need to get it right. The solution is perfect. I will team the O2 Classic SIM with a big button mobile from the RNIB. Many thanks for your comment. Have you had a look into Three’s Data Reward SIM Card? It’ll give you 200MB of free data per month, and you’ll pay 1p/MB for anything over that. You can top-up your account from £2, and the credit remains until you actually use it. Could iuse a phone that is locked to EE on the Asda network? Many thanks for your comment. I believe it’s sometimes possible to use an ASDA Mobile SIM card in an EE-locked handset, but you’ll probably need to order a SIM card and put it in to make sure. Alternatively, if you’re able to unlock your handset from EE at low or minimal cost, it might be worthwhile doing this for future peace of mind. I am a light user & are looking for sim only pay as you go scheme. I spend about 4 months in the UK, 2 months of which are spent in France. I am looking for calls & text in the UK & calls & data in France. Do you have any advise. Many thanks for your comment. It should be fine for you to choose pretty much any UK network, through my recommendation would probably be to use giffgaff. On almost all UK networks, you’ll now be able to use your phone in Europe (including France) at no extra charge. Many thanks Ken for your reply. I will look at the scheme available for giftgaff. I’m Italian and I currently live in Italy but I need an English mobile number both for work and for some periods in the UK. I’m not going to use the phone very much, so I thought the ideal sim card could be a pay-as-you-go, in order to avoide monthly costs. Which one would you suggest to me and how could I get it? I will be in the UK on 30th May, so I think it will be quicker to buy one there. For this new number I’m going to buy a refurbished mobile phone. Many thanks for your comment. I agree that it makes a lot of sense for you to choose Pay As You Go. Unfortunately, it’s difficult to know which network will work best for you without knowing your usage – e.g. you’ll need to make the choice between traditional Pay As You Go and a Pay As You Go bundle. One good option is to get a SIM card from giffgaff (£10 will give you unlimited minutes, unlimited texts & 3GB data, but you may find this slightly overkill if you’re a very light user). Cracking blog post, I’ve got quite a specific use case in that I’m looking for a SIM for a bicycle computer (like a SAT NAV for a push bike). What I really need is a SIM where I can buy a data bundle and keep it indefinitely. The problem is every network seems to cancel any outstanding data after 30 days. Do you know if there are any where you can buy a data add on and keep it? I’m wondering if 3 would be the best option on PAYG with data @ 1p per MB, which works out at £10 per GB, which is quite expensive… but if I only use 50mb.. or 100mb a month, it would be the best option. Part of the problem is I don’t know how much I’ll use. Any pearls of wisdom would be appreciated! Cheers, Alex. Many thanks for your comment. I’d probably have a look at Three’s Data Reward SIM card. It’s similar to Three’s 321 tariff but has two key differences: (i) you’ll get 200MB of free data every month and (ii) the terms and conditions don’t restrict you to only using the SIM card in a smartphone. As with Three’s 321 tariff, this works on a traditional Pay As You Go basis so your allowance/credit won’t expire every month. We are travelling from Australia to the UK and Ireland in May and June for 9 weeks. We will need to buy 2 SIM cards for iPhone 6 & 8 (one for main use, one for light use). We would need to be able to tether our iPad to the main phone, make international calls to Australia & to/from Ireland & the UK. We!re thinking 1- 3GB data. As we are leaving soon, we would like to purchase the SIM cards from a shop when we reach the UK, rather than mail ordering. What would you recommend? Many thanks for your comment. Your best bet would probably be to get a SIM card from giffgaff – the reasons being they offer a 3GB bundle for £10 along with fairly low-cost international calling, inclusive roaming in the EU (including Ireland) and the ability to top-up using a non-UK credit card. If you have a UK address you’re able to send the SIM card to (e.g. to a hotel or friend’s home), you can order a free SIM card online here. If you’re unable to do this (e.g. because the trip is too close), you can buy the SIM card from most supermarkets in the UK. Thanks for the prompt reply Ken. We had been looking at Giff Gaff after reading your article, but weren’t sure about ordering one by post so close to our trip. Great to know they are available in supermarkets in the UK. Do you happen to know whether it works on a cruise ship? No problem! I think they do support limited roaming (mainly calling & texting) on some cruise ships – see here for more information. More generally, however, I’d probably recommend against using your mobile on a cruise ship as the cost of doing this is normally extortionate! Thanks, that’s what we found a few years ago when cruising, I was just hoping the situation might have improved! Just found your excellent site, and now looking for some help. Wife and I will be in the UK (from Australia) in May,June 2018 and we require 2 UK sim cards for 7 weeks. We both have iphones 5s and generally need phone calls and data for maps as we travel from London-Cornwall-Wales and Scotland 4 weeks (mainly Central belt.). We have wifi at night but need day time data. Probably 2/3Gb each per month would do. Would you please advise us what the best options might be for our trip. I think your best bet would be to get a SIM card from giffgaff. There are multiple reasons for this, discussed in my guide for visitors to the UK (namely, they offer international SIM card delivery and allow you to top-up with a non-UK credit card). You’ll also get coverage from O2, and 3GB of data is available for just £10/month (approx 17.8AUD). Thank you Ken, your guide is very clear, I must have overlooked it earlier. Giffgaff sounds perfect for our trip. Great to have an RSS feed from you. With so many now taking cruises there could be a very useful article on use of SIM cards from the UK. For example the USA corp Carnival Cruises use, when at sea, Telenor Maritime. But this only allows use of SIMs from certain telecos. P&O via TM exclude Virgin Media and others using the big telecos. Apart from the huge expense, the whole business is very confusing. We only use mobile phone occasionally whilst in UK. However, we have a motorhome and go to the continent for two 60 day trips a year. Makes mobile essential to contact family back in UK. Are we better off with 1p mobile or a 321 deal? Many thanks for your comment. 1pMobile could certainly be a good option, providing you’re happy to meet the minimum top-up requirement of £10 every 120 days. If you’re a very light user (i.e. if you’d spend less than £30 per year), I’d probably go for O2 Classic Pay As You Go. From the 18th January, they’ll charge 3p/minute, 2p/text and 1p/MB (which is the same rate as Three’s 321 deal but probably with much better coverage in rural areas). Thanks Ken. Not heard of O2 deal. Will go to store to check this out. I am in the process of deciding whether to buy a Smartphone with a contract or get PAYG. Your advice would be appreciated. In brief, I go to Gran Canaria for 2 months of the year, then return to the UK, then go back to Gran Canaria and so on. In brief I spend 6 months in Gran Canaria and 6 months in the UK. I am not a heavy usage user (no film downloads etc) but use Facebook and will need to download a few short videos, as well as using text messages and phone calls. What do you suggest I should buy? I am tending to sway towards a straightforward PSYG SIM when in the UK, and will buy a SIM when in GC, but am concerned about the different phone numbers. I am sorry to sound ignorant, but will my phone number constantly change? Given that you’ll be using your phone in each country for about 6 months per year, it is likely you’ll be better off getting two Pay As You Go SIMs (one in the UK and another one in Spain). This will be cheaper than getting a Pay Monthly contract as that has a lot less flexibility (e.g. you’ll need to pay every month). There is a third alternative, which is to choose either your UK or Spanish SIM card and to use it in the other country at no extra cost. This is possible as a result of recent Roam Like Home legislation, but you’ll need to keep a close eye on the fair usage policies of different network. Also, you’ll need to choose either a UK-based or Spain-based number, which means people calling you from one of those countries will need to pay international roaming rates. Finally, a great solution to the hassle of having two different SIM cards is to buy a dual-SIM handset (e.g. there are several dual-SIM handsets in the Moto G family). This will allow you to have two SIM cards (and two phone numbers) on your phone at the same time, so you can use both a UK SIM card and a Spain SIM card at the same time. Thank you for your prompt response. I will definitely take your advice and will get two PAYG SIMs. Just a quick question – sorry to take advantage! How long do PAYG SIMs last? Will I be able to top up after a few months non usage? Thank you very much for taking the time to help me out. No worries at all, and happy to be able to help out! You can read more about Pay As You Go inactivity in the UK here, but in short: the answer is they will normally last indefinitely with most mobile networks requiring you to use the SIM card for a chargeable activity once every 6 months. The policy, however, does differ on a network-by-network basis so I would recommend checking before you choose a mobile network. The policy may be different for mobile networks in Spain, so I would also double-check with them directly. Once again Ken, your advice has been invaluable. I must commend you for running such a great site. It is easy to understand and it is great that it is so up to date! Finally, thank you again for your help. You have not blinded me with science and I actually know what I am doing!! Ken, I am visiting the UK, and require the ability to Text and Call back to US phone numbers (in addition to data while in UK). I don’t see information specific to that need. I assume this is technically possible, with some kind of extra charge for those calls/texts. Can you confirm this is the case? If so, are there any providers that don’t allow that, and I should choose another? Many thanks for your comment. As a visitor to the UK, I’d probably recommend getting a SIM card from giffgaff (more info here on the reasons behind this). giffgaff will charge you 2p/minute for phone calls back to the US and 8p/minute for text messages to the US. More information in my guide to international calling. I changed from Orange (Animal-Racoon) to pay as you go ASDA. It was about 2 weeks ago. Got ASDA SIM by post. I transferred my number with use of code from Orange. Calling ASDA cust. serv. havre been told that it is done. I do have on display “ASDA MOBILE”. Have got message from Asda that my balance is £0. And that in my Starter for 10 bundle I have 10 min and 10 texts and 10 MB. And second message from them on the same day that I am given 10 minutes, 10 texts and 10 MB FREEto use in my first 30 days. Those 2 sms I have got on 7/11., on the day of transfer. I needed to call yesterday and today, tried to send message today but I am getting answer: “The system is busy and try later.” (I did not try to call or send sms after 7/11/, there was no need; I am lighter user). I tried today also to call 2732 – cust. serv., but getting same answer. I sent sms for “BAL” to 2732 – the message went but I have got no answer if I really do have 30 days for free as stated in their message. Unfortunately, this is something you’ll need to check directly with ASDA Mobile – if you can’t reach them on 2732, you can also call them on 0800 079 2732. With ASDA, you should get a ‘Starter for 10’ bundle for free which lasts for up to 30 days. However, this is different from Pay As You Go credit, as they give you a time-limited allowance rather than some free credit with the SIM card. Thank you Ken for help. Having problem with cust. service Asda mobile, I looked into Three. They provide good price for PAYG. I am light user. Sony Ericsson T280i – is all right for Three. Today, after inserting their SIM card (for the first time) and getting message “Inactive SIM”, joing them online again, been told that my phone does not support 3G/4G. Before Asda mobile I was with Orange, both on Sony Ericsson T280i. Many thanks for your comment. I’ve just had a quick look at the specs on GSMArena and I’m afraid this phone doesn’t support 3G or 4G coverage. Therefore, it unfortunately wouldn’t work on Three or on any other network using coverage Three. My recommendation would be to use the table I’ve listed here to choose a mobile network that does offer 2G coverage. Really sorry about all the hassle the network switch has caused you! I just wanted to say thanks for the most comprehensive waffle-free summary of the tariffs available. I’m a fairly recent convert to 1p Mobile and I’m really happy with their service. The bonus that I didn’t appreciate is that you don’t lose unused credit every 3 months as I’d mistakenly expected – I had £3 credit when the automatic £10 topup was paid for after 3 months and my balance was then £13. So if I use it more this quarter then I can still use the money I paid last quarter. I decided to use the £3 to enter a TV premium rate competition a couple of times. I didn’t win, but perhaps next time! Many thanks for the feedback and really happy to know you found the website to be useful! Yes, 1p Mobile’s top-up requirement is fairly different to anything else on the market: as you say, the good news it rolls up rather than expiring every 120 days. If for some reason, you end up with lots of extra credit you want to get rid of, you can also try some of the options listed here (e.g. donating it to charity). For many years I have been using my daughter’s old Nokia phone. It is a PAYG. I use top-up vouchers with Virgin. I have been given an iPhone 4 and want to use this iPhone on a new network provider. My daughter cannot remember her password. As I want to keep my current mobile number could this pose a problem in getting the PAC code from Virgin to Asda mobile ? Many thanks for your comment. As part of the PAC Code/number transfer process, either you or your daughter will need to prove you’re the Virgin Mobile Pay As You Go account holder. If it’s a non-registered account, you might be able to do this by answering a few questions (e.g. about how you normally top-up your phone). If the account is registered, there should be a few other ways of proving identity (e.g. by providing some form of documentation to Virgin). I’m in Australia and I have an O2 classic pay as you go sim for when I come over to the UK. In order to keep the sim and number active I have to connect the phone at least once every 6 months. If I send a text message to my O2 UK number from my Australian mobile every few months, would that satisfy the 6 monthly usage requirement? Many thanks for your comment. Unfortunately, you’ll need to make a chargeable activity on your O2 Pay As You Go SIM card every 6 months. This must be something that affects the balance on your account, so receiving an incoming text message won’t count towards this. However, you can send an outgoing text message from that SIM card which will then count towards the minimum activity requirement. I ended up doing what you suggested and sent an outgoing SMS message from here in Australia and then logged in and checked my account balance. It had gone down 50p so I guess that meets the chargeable activity requirement. Thanks for the article. 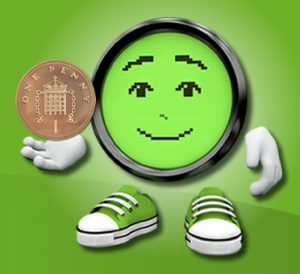 Are there any drawbacks to the 1p Mobile pay as you go tariff? I’m looking for a suitable tariff for my mum who’s a light user. Thanks for your comment. You can see my full review of 1pMobile for more information, but I think the main one is you need to top-up at least £10 every 120 days. Therefore, it isn’t ideal for very light users who’d expect to spend less than £30 per year. Awesome website! Always coming back to it! Ken, I am looking for the best 4G Sim only deal which will support tethering. I would prefer one of the major mobile providers. Not too worried about the amount of mins (calls and txt), but need some good amount of data. Of course unlimited is always desirable. Based on that, you should hopefully be able to narrow down the best deal for the amount of data you require. The best site I have seen for information on pay as you go tarrifs.Thank you. Ken – thanks for these: great references as always. Now that there is mandatory free roaming across Europe, three had upped their number of countries to ~60, so it probably deserves an update. Great feedback indeed – many thanks for the heads up about this. I’m currently working on a full update of this article so will ensure everything is updated over the coming few days. Thanks again for the support and taking the time to let me know! I am not sure of what to get, whether to get a 12 months plan or a PAYG plan? I don’t need a mobile phone as I have my own device. Many thanks for your comment. Before continuing, I recommend having a look at my guide for people visiting or moving to the UK. In short, one of the key things is your son won’t be able to pass a UK credit check immediately, so he should restrict his choice to Pay As You Go deals. As discussed in that article, giffgaff is probably the best option (no UK credit check, flexible goodybags, low-cost international calls, etc). You can pay £18/month for 2000 minutes, unlimited texts and 6GB of 4G internet. Your reply very well appreciated. A final question. Which is the best PAYG card which also allows for reasonable/cheap International calls & has good data as well? I have seen THREE & GIFFGAFF SIMCARDS & the service seems to be good. Its it better to go for a 12 month contract or to go for monthly basis? Because of the issue with credit checking, it unfortunately wouldn’t be possible to get a 12-month contract straight away. Therefore, the only option available at present will be 1-month rolling deals on a pre-paid basis (e.g. giffgaff or Three Pay As You Go). To be honest, I think both giffgaff and Three are good networks but I’d probably have a slight preference for giffgaff in your situation (due to the lower-cost international calls, the ability to top-up using non-UK cards, better UK coverage, and potentially a lower monthly price for the amount of data you require). Many thanks for the heads up about this! Yes, it’s a real shame regarding the Tello price rises – and as you say, Smarty is definitely one to keep an eye on! I’ve just amended the information about Tello in the article above, and will review the entire article again very shortly. I have been looking at your review which have come in very handy, so thanks for that. I have a couple of quick questions, I have recently been stung by not putting a chargeable transaction on PAYG sims via O2 that I use for work I thought that sending txts out on the sim would of done this but obviously not..
We do not use them for calling out on only for sending txt messages fairly infrequently. I noticed that you have recommended Asda mobile, having had a quick look I can see that the coverage is decent for what I need it for in my area but I cannot find the PAYG deal. Only the bundle deal which I do not need. Does the credit sit on the account until one uses it or until 6-9 month period if you have not used the sim it gets cancelled? Is sending txts a chargeable transaction as I don’t want to go ahead a put credit on the sims to find out I loose them if we haven’t used them within a certain time period. Also do you have a link to the PAYG sim i am looking for? Many thanks for your comment. There’s more information here about the conditions for keeping your SIM card active. I’m unsure why O2 closed your account if you made a chargeable text message (their T&Cs simply require you to “carry out any chargeable activity at least once in any 6 month period”). With regards to ASDA Mobile, you can order a free SIM card here. ASDA has a traditional Pay As You Go product where you pay 8p/minute, 4p/text and 5p/MB (more info here or see the list of rates on the official ASDA website). If you’re a regular mobile user, you can buy a 30-day bundle but this is optional and is only recommended if you regularly use your handset. 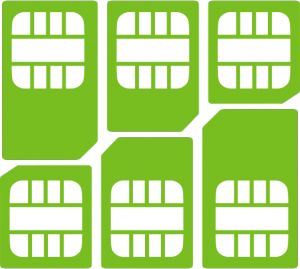 On ASDA, you’ll need to make a chargeable activity at least once every 270 days to keep your SIM card active (outgoing phone calls will be suspended after 180 days to remind you to keep the SIM card fully active). As long as you make a chargeable activity once every 270 days, your credit will not expire. Do you happen to know if there is a network on which you don`t need to top-up the sim card in order to activate it? If not, which network offers the cheapest sim activation top-up? I am really just looking to have a uk sim card so I can receive calls/text on it. Many thanks for your comment. Unfortunately, I don’t have a full list of which mobile networks allow this, but I know for certain you should be fine to use the SIM card without an initial top-up on ASDA Mobile (they’ll even give you a free allowance of 10 minutes, 10 texts and 10MB to test out the SIM card). 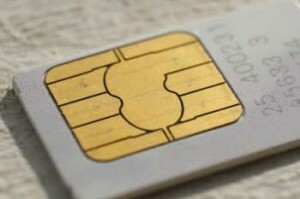 Longer term, you’ll need to use the SIM card at least once every 270 days in order to keep it active so you’ll eventually need to add some money to the SIM card (even if it’s just a fiver for the occasional call or text). Some other mobile networks also allow you to do this, whereas others will require you to top-up before the SIM card is activated. Thanks for such a useful site. I have just ordered an emergency only phone for when I’m out hiking and kayaking and Im look for a classic Pay as You go SIM card. I have just ordered a giffgaff SIM, but it seems to be only for pay monthly deals. What would be your advise for the best and cheapest SIM that will carry over every month until it runs out. As this is an emergency only phone it may not be used for months at a time and a pay monthly deal would be a waste of money. Many thanks for your comment. My recommendation would be to order a free SIM card from ASDA Mobile. You can use it with no regular charges (you’d just Pay As You Go at 8p/minute, 4p/text and 5p/MB). The only requirement is you use the SIM card at least once every 270 days (ideally once every 180 days) so in theory, you can get away with sending just two texts per year (costing you a grand total of 8p per year!). On giffgaff, it is also possible to use Pay As You Go without buying regular 30-day bundles. You’ll pay 15p/minute, 5p/text and 5p/MB. Thanks for your help and perfect reply and once again thanks for such a great site. I will be in the UK next week as a tourist, so I can’t order a SIM card. How do I get it? Do I just go to a store and they set it up for me? I am 65 and have age-related computer/mobile telephone ignorance. Many thanks for your comment. You just need to pop in to a mobile phone store to ask for a Pay As You Go SIM card. Normally, the staff should be able to set this up for you. However, the only thing I’d probably do in advance is to make sure your handset is unlocked (otherwise, it won’t accept a different SIM card when you’re in the UK). 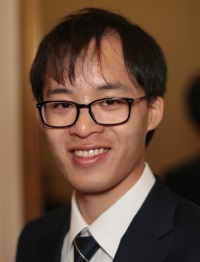 Advice please for my son in Vietnam who will be visiting me in the uk in August and needs a temporary payg phone card with the minimum spend on it. Trying to find one with only £5 but they all seem to require £10 which he will not need. Many thanks for your comment. There are numerous networks allowing you to top-up with just £5. Any of those should probably be suitable for his usage (e.g. a free SIM card from ASDA Mobile). For more information, please see my in-depth review here. Thanks so much for your quick response……….an extra question. Will he have to get his Vietnamese phone unlocked in order to use a free UK Sim card, or is there a card he could use automatically giving him a UK number. Thanks again. Hope you’re enjoying the sun this week! He will possibly need to get his handset unlocked before it will accept a SIM card from any mobile network apart from his home network (for more info, see my guides to unlocking an iPhone and unlocking a Samsung Galaxy smartphone). When he inserts a UK SIM card inside the unlocked handset, the phone will then have a UK-based phone number. Thank you again Ken for your very clear rep!y…. I did suspect this and will forward your advice to him. Yes the weather is glorious and I am loving it. I have been trying in vain to order a free vodafone payg sim card but everytime i try it applies a bundle. Reason being i want the free sim to test the covergage at my home before commiting to a top up. Any ideas or is there no way to get a vodafone free sim now without buying a bundle? Many thanks for your comment. You used to be able to order a SIM card without actually topping up at the same time. Unfortunately, like yourself, I can’t seem to find this option any more on their website so I suspect you’ll need to top-up to order a SIM card online. It might be worth checking in at your local Vodafone store to see if they can give you a new Pay As You Go SIM card, without the need to top-up at the same time. tesco mobile do a light tariff ,which matches asda ,s 8p and 4p ..no good to me as both have poor service in scottish low lands. since sainsburys and now talkmobile have ended,there is a need for a cheap provider,using the vodafone network without the Vodafone prices..
Let me me know if you hear anyone is starting this. YOU will have seen the 4g kevin bacon ee adverts,my phone wont do a thing on EE network not even on 2g..keep up the good work. I have to find a new supplier for my non smart phone as Talkmobile is closing down. I see that you recommend Asda Mobile to most people, although 1p Mobile seems to offer much cheaper calls, and I just wondered why? I am a very low user, just a few texts and the odd call now and then. Many thanks for your comment. It’s important to be aware of 1pMobile’s minimum top-up requirement: you’ll need to top-up your phone by at least £10 every 120 days. This effectively means a minimum spend of £30 per year (equivalent to about £2.50/month). ASDA Mobile doesn’t have the same minimum top-up requirement. Therefore, if you’re a very light user, you’ll possibly be much better off using ASDA Mobile at 8p/minute and 4p/text. For instance, someone using 10 minutes and 10 texts on average each month would pay just £1.20 using ASDA Mobile. There are no minimum spend or top-up requirements on ASDA Mobile: you just need to just use your phone at least once every 270 days (and ideally, at once every 180 days). For regular & frequent mobile users, ASDA Mobile has a range of bundles starting from £5/month. In general, they work out to be better value than using 1pMobile e.g. for £10/month, you can get 600 minutes, unlimited texts & 1.5GB of internet. On 1pMobile, this would cost you substantially more. I think there’s a bit of a “sweet spot” where 1pMobile wins, and that’s for users who’ll typically spend between £2.50 and £7 per month. That’s really helpful and clear Ken, thank you! I am traveling to U.K. in July for 15 days. Which Network Sim is easily available at Gatwick airport or at any Supermarket? Many thanks for your comment. I’d strongly recommend against buying a SIM card at the airport as you will normally be paying well over the odds for it. Instead, you’re much better off picking up a SIM card at the supermarket. You can easily get a SIM card there from most of the major mobile networks (including EE, giffgaff, O2, Three and Vodafone). I have just got a car with a SIM slot. I’d like to use the functionality this provides. Just to say as well – congratulations on your site. Very comprehensive and the most useful and clear site I’ve found on SIM deals. Many thanks for your comment. The problem with traditional Pay As You Go is that data inevitably ends up fairly expensive on it. At the moment, the cheapest networks for data on a Pay As You Go basis are Three, iD Mobile and 1p Mobile (see comparison table here). They’ll each charge you 1p/MB for data, so 2GB of usage would cost a whopping £20. Meanwhile, you can easily pick up a bundle for £10 or £12 per month that has 2GB of data and a substantial number of minutes included (e.g. giffgaff’s £10 goodybag). Hi Ken, many thanks for your reviews and guidance here. For my upcoming travels to UK and Europe, what’s your view on UK prepaid SIM card? It’s sold by an Australian company and offers 12GB of data at USD49.95. It can be used over in European countries. I’ve checked and checked online and don’t seem to find any other similar SIM card which offers large data usage for UK and EU. What do you think? Many thanks for your comment. In my opinion, there’s no need to purchase a SIM card in Australia before you arrive in the UK. Here, you can get 12GB of data for £20 on Three Pay As You Go (approx 25USD) and it’s super easy to pick up a SIM card on arrival. You can also use the allowances abroad in other European countries at no extra charge. For more information, see my guide to Pay As You Go bundles in the UK. I am a light user on a Talk Mobile pay as you go which is due to expire. You have suggested that Asda have a good deal but under Talk Mobile heading you suggest that only Vodafone and Lebara Mobile are available. Can you please clarify the position. Many thanks for your comment. For all-round usage, I think an ASDA Mobile SIM card is a great choice. However, ASDA Mobile uses coverage from EE instead of coverage from Vodafone. As long as you’re able to receive coverage from EE in your area, ASDA is probably my recommended alternative. However, some customers are only able to get Vodafone coverage in their home (in this case, the only two options would then be Vodafone and Lebara). More information here on coverage providers. Thank you for clarifying the position it was very helpful. My wife has a Samsung phone, only used for emergencies. So, we are looking for a PAYG sim that does not require a monthly top. Many thanks for your comment. My recommendation would probably be to order a SIM card from ASDA Mobile. You’ll get 2G, 3G & 4G coverage from EE with no need to top-up your phone every month. Phone calls will cost 8p/minute and texts will cost 4p each, with the only condition being you use your phone at least once every 270 days (ideally, once every 180 days if you’re able to do this). I have been reading your review on Asda mobile traditional pay as you go. You, mentioned that for £10.00 You would get an extra 600 minuets of calls. 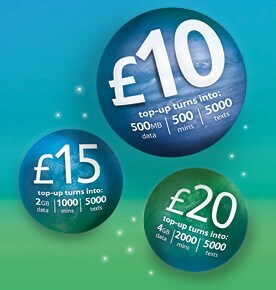 £10 top-up buys: 600 minutes, unlimited texts and 3.5GB internet†. Can I use the 600 minuets whenever I want, or is it for only 30 days? Many thanks for your comment. With traditional Pay As You Go on ASDA Mobile, you can pay 8p/minute for all of your usage, and your credit won’t expire providing you use your SIM card once every 270 days. The £10 package with 600 minutes is a 30-day bundle, so if you buy that, you’ll have just 30 days to use the 600 minutes. At the end of the 30 days, any unused minutes will expire along with the bundle. Many thanks for getting back to me. 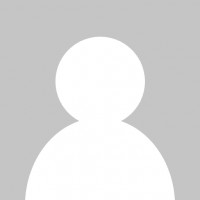 As a complete beginner with mobile phones and all the various tariffs, I have found this site very useful for navigating myself through a complex minefield of charges and options. I have decided to go with Asda mobile as the phone I want has 2G only, and their prices are competitive. I am going to the UK in June and would like to have (ideally 2) SIM cards in hand before I leave (for me and my wife) I don’t see that the vendors will ship outside the UK. Do I have to wait and find an ASDA store when I get there? We are coming into the Glasgow airport. Many thanks for your comment. Unfortunately, I don’t believe ASDA will ship their SIM cards outside the UK, so it’s likely you’ll need to pick one up from a store when you arrive in the UK. Alternatively, you might be able to send a SIM card to your hotel or B&B address in the UK. Occasionally, some mobile networks (e.g. giffgaff) will ship their SIM cards abroad. Alternatively, if you’re not fussy about which mobile network you use, you can also pick up a Pay As You Go SIM card from almost any supermarket or mobile phone store when you arrive. Ken, for those who have accumulated quite a bit of credit on Virgin PAYG, do you know what kind of bundles they can buy with that credit? 1) You could call Virgin Media on 789 and enquire about moving to one of their SIM-only deals. They might offer to transfer your Pay As You Go credit to your Pay Monthly account (hence, probably giving you a couple of months of free line rental). 2) You can donate it to charity following the instructions here. Obviously, this would be a lot better productive than trying to spend it frivolously or leaving it in Virgin Mobile’s coffers. Hi I am looking for a cheap sim to use with a Ltl Acorn 6210MC and I wonder if you know which sim would be compatible with it. Its my understanding their not all compatible. Thanks for your comment. Do you have any further information about which technologies and bands are supported on the device? The information here should help you to identify network compatibility (although it is a little out-of-date at the moment as it lacks information on 4G). 1. Say the career has unlocked my phone, would I be under the same situation again whereby I need another UK sim back in India which is insane. 2.Will my phone continue to work with any other major careers across globe once I unlock it from EE? 3. Can I try and check if Lyca sim works before my departure once I am unlocked from EE? 1&2. No, once your iPhone has been unlocked from EE, it will be permanently unlocked for use on any network (either in the UK or abroad in other countries). I don’t believe it will lock itself again in the future. 3. Yes, it shouldn’t be a problem to test out a Lycamobile SIM card before your departure. I want to get a basic SIM only deal for my wife’s basic phone (not a smartphone). I doubt she will even use £5 per month so am trying to find a SIM card that does not require a regular payment – she may only make a couple of calls every few months. It is more so others can contact her. Most of the deals seem to be for 3G only. I assume non-smartphones, even the new ones, are 2G, in which case how do I find a suitable basic SIM? Please help! I look forward to your response. Thanks for your comment. I’d recommend ordering a free SIM card from ASDA Mobile. They charge 8p/minute and 4p/text with no regular monthly charge (they have 30-day bundles but these are totally optional). They provide you with 2G & 3G coverage from EE so the service will work even on non-smartphones. They also have a really good inactivity policy: you only need to use your phone at least once every 270 days in order to keep it active. I’m a bit late coming in on this, but I can confirm that the information is absolutely correct! I received my Asda sim card today and inserted it in my ancient Samsung E250 mobile (released 2006) and it works perfectly. I topped up with £5 straight away and gave my PAC code to the lovely, friendly gentleman at customer services as I want to keep my old vodafone number I’ve had for years, no problems at all. I too think Asda have the best deal for a light user, especially one with a basic ‘non singing and dancing’ phone! A new deal for PAYG low users from o2 called “Classic Pay As You Go” with calls at 5p per minute, texts at 5p per text and data at 5p per Mb. Minimum top up is £10 with no expiry that I can see though some say it’s 180 days with no use but o2 are selling this as “for low users” so I’m not 100% sure but the deal includes 4G data. Thank you for the heads up about this! I’ve just updated our Pay As You Go price comparison table and also our review of O2 Pay As You Go. It’s fascinating that O2 now has cheaper per-minute rates compared to giffgaff, which is supposed to be their low-cost online-only sub-brand. You can buy the Mega Christmas Bundle up until the 31st December (and if you were to do so, it would last you until the 30th January 2017). Therefore you can benefit from the offer for about two months. After that, you’ll need to revert to the normal £10 bundle. Alternatively, if ASDA has an offer on their bundles in the new year (like they have previously), you’d also be able to take advantage of that. Thanks for your comment. There shouldn’t be any problems using giffgaff in Portugal. However, many people are caught out by the need to have Pay As You Go credit in addition to the normal giffgaff goodybag (this is because your giffgaff goodybag doesn’t include out-of-UK usage, and data in the EU will cost an extra 4p/MB). If you join Vodafone, you may also experience the same issue (in fact, it’ll be similar with any network where you buy a Pay As You Go bundle). I am resident in the States but have a home in the UK, I would love to keep a phone just for the UK on PAYGo however cannot guarantee I will not be outwith the UK for less than six months. Is there a provider that will allow me to keep a Paygo plan that may be dormant for over six months which would then work right away if I return say after eight months? Thanks for your comment. There’s more information here on credit expiry in case you haven’t yet seen it, but as you say you’ll normally need to use your phone at least once every 6 months in order to keep it active. Note however, there’s no requirement to actually use your phone inside the UK. This means you can possibly keep it active just by using the phone to send a text message in the US (typical cost on most mobile networks is about 40p-50p). Typically, I’d recommend ASDA Mobile for their friendly inactivity policy (270 days of inactivity before the SIM card is blocked, and you have the possibility of recovering your phone number up to 360 days). I have a Dual SIM phone so I can use the same phone for business and personal. However, after lot’s of playing about and searching the net. only one SIM can be on 4g and the other needs to be on 2g for some reason. Both my contracts are 4g, so to test this I want a cheap pay as you go SIM on 2g and then if it works, is it still possible to get a contract on 2g – or have I just bought a useless phone!? Thanks for your comment. In my opinion, it isn’t too much of a problem that the second SIM card only supports 2G. After all, you can’t make phone calls on a 4G connection (it will normally drop to 2G & 3G). Also, you can only use the internet on one SIM card at a time (so the main thing is that your primary SIM slot supports 4G). With regards to your question, most UK mobile networks will give you 2G coverage – the only ones that don’t will use coverage from Three (so you’ll need to avoid iD Mobile, Tello, Three and TPO). All of the other SIM cards listed on this page will work on 2G – my personal recommendations would probably be either ASDA Mobile or giffgaff. I bought a 50p Pay as you Go ASDA SIM and it works like a charm. Sod’s Law one contract is on 3 and the other, ID. I’m keeping the 3 account (as I can use it abroad for no extra cost) and I shall terminate my ID contract and PAC-Code the number onto another provider. i have given my 10 year old an old iphone 4s and is currently on 3 network with the 321 sim. he hardly ever uses it as it is just for contact when he is at friends but tends to use wifi when ever he can but lately he has been playing pokemon go when we are out and about which seems to be hammering the data. any advice on the best sim? i have been trying to read the comments but there are so many! Thanks for your comment. Do you know how much data your son has been using on his iPhone? If you aren’t sure, the info here will help you to find out. Once you have that information, it’s worth having a look at my guide to Pay As You Go bundles as that will help you to find the best value deal. If he’s using less than 1.5GB of data per month, I’d probably suggest getting a free ASDA Mobile SIM card. They have some great bundles (e.g. 600 minutes, unlimited texts and 1.5GB of data for £10/month). Hi – Please an you tell me Ken if the £10 Asda pay as you go free sims have an expiry date? For more information on credit expiry and account inactivity, I recommend reading my in-depth article here. To answer your question, ASDA Mobile has one of the best inactivity policies of any UK network – they’ll only close your account if the SIM card hasn’t been used for a period of 270 days. Tello have had a great proposition for PAYG, where data cost 1p per MB. Very shortly, you’ll need to have a monthly plan as they are withdrawing PAYG. Three appears competitive as an alternative. In general, I’d probably suggest getting an ASDA Mobile SIM card. For £10/month, you’ll get 600 minutes, unlimited texts and 1.5GB of internet. You’ll get coverage from EE and you’ll have complete control over spending on the account (so he won’t be able to run up additional charges outside of the bundle). If you’d like more of an in-depth comparison to alternative tariffs, you can see my article on the best value Pay As You Go bundles. Hi ken, thank you very much i am still swithering between tesco 3x credit or Asda as we only have good 2g coverage up in the highlands 3g very iffy where i stay. Would like to know who keeps your credit an if asda or tesco roll over after the 30 days? Both mobile networks will allow you to keep your credit – you just need to be careful you don’t a buy a bundle (instead, you’ll want to be on traditional Pay As You Go). What this means is you’ll need to stay clear of ASDA Mobile’s bundles and Tesco Mobile’s Rocket Packs. The key thing for you is probably to find out which of the two networks offers better coverage. It’s therefore well worthwhile ordering yourself a free SIM card from ASDA Mobile (e.g. check to see how the coverage compares to Tesco Mobile). The ASDA tariff is much simpler compared to Tesco’s Triple Credit and will probably save you money overall. They also have a better inactivity policy. The only network catering to this properly is Tello. 100 mins 20 texts and 2gb data is £8. You can make your own combinations. I do not earn money from referring you. Just wondering if anyone is experiencing issues with getting hold of a Asda sim card at the moment. I ordered one a few weeks ago and it didn’t turn up so I ordered another. That didn’t turn up either. Just been into an Asda and they’ve been waiting four weeks for some to come in. Any worthwhile alternatives? Needs to be able to use 2G , be on the EE network and have credit that doesn’t expire. Obviously there’s EE but I’d prefer cheaper call rates! Just a bit concerned that Asda Mobile could be going the way of Post Office Mobile. Thank you so much for all the helpful information you have provided in this helpful website. I am coming to the U.K to spend 15 days between Edinburgh and London. We have rented places in both Edinburgh and London through Airbnb and i asked permission from the owner in Edinburgh a-if i could receive post in their flat and he agreed. I have an unlocked iPhone 6S and I want to get a nano sim to use mostly for GPS, maps, facebook so I am looking for a good network with great 4G coverage throughout the U.K. I understand that EE has the best coverage. So, in order for me to get a sim card sent through post, do I need to be a U.K resident or have a U.K credit card? Can I just but the sim card directly from the physical store using cash or credit cards? I tried to order one using EE website but they were asking for a U.K billing address since you must but the top_up on their website. If I order from other networks like Gifgaf, do you recommend them? Does Gifgaf have a good 4G coverage overall? I am looking for at least a 4 Gigabytes of data. I am also going to France afterwards so maybe one that works there for no extra fees would be a better option. I thank you so much for your time dear Ken and I appreciate your time. Thanks for your comment and hope you’re looking forward to your trip to the UK! Yes – you can just buy a SIM card on arrival in the UK from pretty much any phone store or supermarket (if you don’t mind which mobile network, there should be plenty of shops selling SIM cards in Edinburgh). I’d strongly recommend *against* buying your SIM card at the airport, as they’ll charge you a lot more for doing this! With regards to topping up, you’ll normally need a UK-registered credit or debit card if you try to top-up on the internet or over the phone. Therefore, you’ll probably find it easier to top-up in person at a store in the UK (e.g. at the local supermarket or phone store). See my article here for more information. Finally, with regards to my recommended network, do take a look at ASDA Mobile as well. You get coverage from EE at a very reasonable price (e.g. 3GB of data for £15/month or 6GB of data for £20/month). You can also use your phone in France at no extra charge this summer, but it’s 3G only (you won’t get access to 4G). If you’re willing to make this trade-off, it will probably work out much cheaper than both EE and giffgaff. 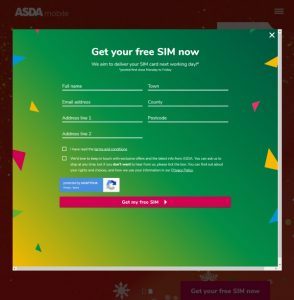 For ASDA Mobile, however, I’d strongly recommend ordering a free SIM card online (if you want to pick it up in person, it’s 50p and you’ll need to go to an ASDA retail store). Your articles have been very informative and helpful while I’ve been researching pay as you go deals. I’m looking for a pay as you go sim for my mother in law, we have an old iphone4 that I’m going to give her which was my old 02 contract phone which I have now upgraded – she’s only going to use the phone for very few texts, hardly any calls and mainly for photos we send her – were gonna download whatsapp so she can use it on her wifi at home…..which deal would you recommend? The phone is not unlocked but I can do this if it is better, also what happens if you don’t top up the £10 (or whatever a month) do you lose your money and is it just standard charges or does the sim stop working? Thank you for the kind words and so sorry for the delay in getting back to you! 1. My comparison of Pay As You Go rates. You can filter this e.g. for the lowest-price text messages. If you want to use an O2-locked iPhone, you would probably need to choose either giffgaff or O2 (giffgaff is cheaper as they charge just 5p/text). 2. My article on Pay As You Go credit expiry. On most mainstream mobile networks, your credit won’t expire providing you use the SIM card at least once every 6 months. There is no need to top up your phone by £10 every month (this is only necessary if you buy a monthly Pay As You Go bundle). 3. If you’d like to unlock your iPhone, see the instructions here. It will cost you £15 to unlock an iPhone from O2. This will allow you to benefit from a wider range of details e.g. you could choose ASDA Mobile at 8p/minute and 4p/text (coverage from EE). Can I get a payg sim card for someone who would only use the phone 3-4 times a month, so would not want a monthly charge? Thanks for your comment. Yes, you can: you’ll need traditional Pay As You Go as opposed to a Pay As You Go bundle. My recommendation would probably be to get a free SIM card from ASDA Mobile: you can top it up when it arrives and they’ll charge you 8p/minute and 4p/text. Will try Asda then, thanks for the info. I got a sim card from ASDA online, and now my sister in law (a technaphobe) has a mobile she can operate on the rare occasions she needs to. Now I just need to advise her regularly to charge the battery. Thanks for your help. I am looking for a basic mobile phone with NO CAMERA for use in a Children’s Day Nursery. There must be a small market for such a device – I have found the Nokia 105/106 and the Samsung E1200i. However these are not 3G or 4G compatible devices so I require an occasional use, probably PAYG SIM for use on 2G networks (in the UK only). Your analysis makes no reference to 2G compatibility however I suspect that, for example, Vodafone operates a 2G as well as 3/4G network whereas Three, for example, does not. Any suggestions? Thanks for your comment. You’ll have 2G coverage on all of the networks listed above, with the key exception of on the SIM card from Three. If you’d like a bit more background, I’ve got a table on this page discussing the types of coverage available on each network. For a 2G tariff that allows you to call and text, my recommendation would probably be the SIM card from ASDA Mobile. They charge 8p/minute and 4p/text and you’ll get coverage from the EE network. I have found your articles very interesting and hope you can answer a question for me. We want to buy a prepaid sim card for one of the phones for use while in UK. Can we simply insert a sim card bought from an outlet like ASDA (it will not matter if it is a different number) and will it work straight away? We do not want to change the phone number on the phone so that we have problems when we return to Australia!! Thanks for your comment. Yes: your phone should work straight away in the UK, but you’ll need to double-check to make sure it’s unlocked (otherwise it might not accept a non-Telstra SIM card). With regards to your second question: phone numbers are actually associated with a SIM card rather than a physical handset, so there’s no need to worry about complications later on (just change your UK SIM card back for your Australian SIM card when the trip is over and you’ll still have the same phone number as before). I live in Australia, and am coming to Britain for 5 weeks in July, I’m looking for the best prepaid option for the 5 week period, where the majority of the time will be in and around Southampton the ASDA or GiffGaff options look very good, however which is the best network provider for coverage, 02 or EE? can I purchase now and have it delivered to my family’s home ( to get that job organised & out of the way)or should I wait until closer to arrival? Thanks for your comment. To be honest, there’s pretty good nationwide coverage on both O2 and EE. This does vary on a regional basis however, so I’d probably ask someone local who will know a bit better e.g. your family in Southampton. For instance, something like the level of coverage you receive at the home in Southampton will make a big difference (in case you’ll be staying in a black spot on one of the networks). There’s no problem ordering a free SIM card now and getting it delivered to your family’s home (they can just hold it for you and you can top it up closer to the date). Thanks for help, I have ordered from ASDA. Thanks a lot for this great article. It is really helpful for my situation because I bought an iphone 5s for pay as you go with a vodafone sim with it. And my old sim (lycamobile) won’t work in it and I really don’t want to use vodafone sim. I really didn’t know what to do until I read this article. However, I would like to ask that after transfering networks or numbers with the PAC Code so I could use my old lyca number in a vodafone Sim, would my number still be know as lycamobile number or Vodafone number? Which topup would I get if I was to buy a voucher? Thanks for your comment. If you were to move your Lycamobile phone number over to Vodafone, you’ll be using your phone number but on the SIM card from Vodafone. 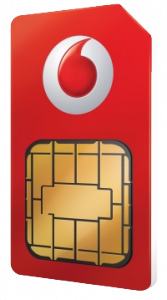 The SIM card is recognised as being on Vodafone and you’ll also need to buy Vodafone top-ups. So it’s not so much that your turning your Lycamobile SIM card into a Vodafone SIM card – it’s more you’re moving the phone number to Vodafone instead. Thanks a lot for your prompt reply. This was most helpful. I have been using a Three SIM (321) for a while and everything has been fine until now. I needed a SIM that would be economic to use in Spain and the UK (I spend 50/50 time in each country) – wonderful Three have their “Feel at Home” where the price is the same in Spain as the UK. This all worked fine until I had been in Spain for two months. They then cut me off because I had overstayed in Spain. There is no option to change to another scheme – and this was with one day of warning by text message. So now I can’t use my usual phone number until I reappear in the UK (so much for no descriminatory barriers across the EU). So my warning is, if you plan on staying in a EU country for more than two months, don’t use Three – they will cut you off with little warning. Great website, thanks. The amount of information and clarity is brilliant, I couldn’t find anything else like it. Thank you very much. As an occasional visitor to the UK from the Channel Islands, I was using a payg O2 big bundle on and off for a few years. I found the few gb’s of data a month invaluable when using google maps etc for navigation and and other resources for findin my way around. It’s been just over a year since my last visit, and it would appear my O2 sim is now dead. We are in London next month as my other half needs an operation that quite specialised. I really need a pre-activated sim as I need to hit the ground running. I like the look of gifgaff, but I can’t seem to find out if they can be activated online from outside the UK, and the customer service doesn’t seem to be great. I really need it to be reliable for the week I’m in London. I’ve been looking at EE as it seems their sims are pre activated, and I could put the sim in my phone on arrival at the airport and be ready to go. I would be looking at the 2gb-4gb plans just to play it safe, and I don’t mind paying the extra for the contactability and piece of mind. What do you think would be the best choice please? Thanks for your kind feedback! I think the reason your old O2 SIM card is no longer working is due to their account termination policy which is described here. With regards to the best value SIM cards, it’s worth knowing pretty much every SIM card is pre-activated (you can just turn it on as soon as you land in London and start using it without any problems). The in-depth guide I’ve written here takes you through the best value bundles currently available. Do be aware, however, many networks will only send the SIM card to a UK address (I don’t believe the Channel Islands is included in this). If you aren’t able to find a network that will send a SIM card over to the Channel Islands, you might need to pick up a SIM card in-person when you arrive in the UK. Thanks for the reply and sorry about the delay. I know what you’ve said is right, but the strange thing is I was using the O2 payg sim intermittently over around four years, as a friend of mine lived in London for some time. I frequently went over six months without using the card and it was always fine, at one point it was almost a year. Odd! The op has been delayed till next month now, but I have a gifgaff sim already here and waiting to go. I think the face geographically we’re part of the U.K. helped with the delivery! Thanks again for all the help, absolutely invaluable. I am pretty much fuming about a Christmas present I bought ny wife. I replaced her old iphone 4s with an iphone 6splus. She had an orange payg sim and when she was not using the phone much her credit remained there , unexpired . Now I had to order a different sim for the 6s , she appears to be on a deal where the £10 credit will expire monthly. I wish I hadn’t bothered . I need to find which PAYG sims will be unexpiring every 30 days, do you have any ideas ?? Thanks for your comment. It looks like you currently have a SIM card where a monthly bundle is loaded on it. This is why your credit gets used up every 30 days automatically. Which mobile network are you on at the moment? If you’re on EE Pay As You Go, text STOP PACK to 150 (this will remove the bundle from your account). Alternatively, you just need to choose a tariff without a monthly bundle. I’d probably recommend ordering a free SIM card from ASDA Mobile (it’s 8p/minute and 4p/text, and there’s no credit expiry providing you use the SIM card at least once every 180 days). For more information, you can see my article on PAYG credit expiry. I am planning to use a Giffgaff Pay As You Go Sim card on my new phone. Is it possible to change the number on the new Giffgaff sim to my old Pay As You Go Sim with EE giving that they are both Pay As You Go Sim cards and from different networks? I was just looking at Giffgaff website and noticed that they don’t have a contact number for their customer services so if I have any problems, the only way to contact them is via email? Does any one ever have any problem contacting Giffgaff and are their customer services helpful? 1. Yes, it’s straightforward to transfer your phone number from EE to giffgaff. You’ll need to get a PAC Code from EE which must then be provided to giffgaff through their website. You can see my step-by-step guide on how to do this. 2. giffgaff doesn’t have any telephone support: you can only get support through their website. There’s an online forum for general queries and there’s ‘Ask an Agent’ for account-specific queries. Take a look at my review here if you’d like more information regarding their customer service. Many thanks for your speedy reply Ken and the Giffgaff website link is very helpful. I just topped up my Vodafone Payo freebie data plan(£10) for which it will be ended on 10 Nov. But after I have completed the credit card details and waiting for confirmation, the internet suddenly disconnected, so I presumed the transaction is not completed. Therefore I tried for the 2 nd time payment and it was ok. But later I found my bank acct has deducted £20. Now I just want to know will the additional £10 be deducted as a monthly fee for the month after next expiry date( 10 Dec) ? Or will they presume I topped up £20 for that month? Thanks for your comment. Unfortunately, with the Freebie Data plan, your top-ups will only count towards that month (hence, it will come out as you having topped up £20 in November). It might be worth calling Vodafone Customer Services to see if there’s anything they can do about giving you free data in December. Im looking for a pay as you go sim card that allows the minutes to remain on your phone longer than 1 month. It seems all the new payg sims make you buy a bundle that only lasts 1 month then you lose whatever minutes/credit you had left, this means you have to top up for each month (more like a contract tbh). I have a old style payg sim that i top up maybe twice a year and i dont lose any of the credit and was looking for something similar on a different network. Thanks for your comment. It’s still possible to get a Pay As You Go SIM card without adding a bundle to the account. That way, the credit remains until you actually use it (no need to worry about it expiring every month). For a comparison of the best available deals, take a look at my article here. For a bit more context, you can also see my discussion of traditional PAYG vs PAYG bundles. Hi Ken, Have you ever used O2 Star Trader? I just stumbled upon it online. It seems that you can order sim cards for free from here and then each one that you can get someone to top up earns you £5. So have you tried it? Is it worthwhile? Have any of your readers ever given you feedback on it? Thanks for your comment. Unfortunately, I haven’t tried the O2 Star Trader programme. Looks like a pretty good programme for people running their own shop (giffgaff also has a similar programme where you’re able to order a large box of SIM cards). Excellent website. On the Three 321 deal, it’s worth mentioning that there is no 30-day deadline and then your credit disappears like most others. Cheap rates will stay until you used up all your credit whenever that may be. A good thing if your a light user. Can you tell me where to buy payg sim cards in retail outlets? I am going for vacation to the uk and had no chance to purchase a sim over the internet. so…i need a “face to face” shop. In the UK, you can buy a Pay As You Go SIM card in most newsagents, supermarkets and phone shops. You can pretty much walk down any high street and find one of these stores. Do note: there’ll often be a small charge of around £1 when buying your SIM card in person (you’ll need to order it online if you want the SIM card to actually be free). 1. Ordering a PAYG (online) sim-only card from O2 will not act as a contract, right? With a PAYG, you can just simply stop using that sim card at anytime and get a new one, is this correct? 2. In terms of customer service, which two of all operators would be more helpful? 3. With a PAYG sim-only card, if I decide to change carrier by requesting the PAC, will there be a charge for it? 1) Yep – this is purely a pre-paid product. There’s no contract and no obligation to actually use the SIM card. You can stop using the SIM card at any time (you can even transfer your number between networks). 2) I’m afraid there’s probably not much difference in terms of customer service! According to the latest Ofcom statistics, O2 has the highest customer satisfaction (but it’s only marginally better compared to the other networks). 3) It’s always free to request and use a PAC Code. The only thing is any unused credit remaining on your old account will be lost on the day of the number transfer. I have an unlocked phone. I will visit London and would like to buy a SIM card that enables me to: (1) make local calls; (2) receive overseas calls; and (3) make overseas calls. What SIM card would you recommend and also let me know if the card will expire after a period of time? Also, I would like to know the rate/cost of receiving local and also overseas calls? Thanks for your comment. Any Pay As You Go SIM card in the UK should allow you to do all three things. The main things that will vary are local calling costs and international calling costs. It’s always free to receive an incoming phone call (whether the phone call is coming from the UK or from an international number). Generally, I’d probably recommend choosing giffgaff – they have some great all-round rates for calling the UK and for calling other countries. Unfortunately, however, they’re an online-only operator (you’ll need to get the SIM card sent to a UK address). If you aren’t able to do this, Three is probably the best value alternative. By prefixing an international phone number with 3 extra digits, you can sometimes call abroad for a fairly low cost. A Pay As You Go bundle typically last for 30 days whereas Pay As You Go credit lasts indefinitely (this is providing you keep your SIM card active by using it at least once every 6 months). Do you have any information on the best (cheapest) account for a Blackberry phone? I use it mostly to receive and send e-mails and occasionally to receive and make phone calls ( but not many). At present I am with O2 on a £10.40/month account. Thanks for your comment. Have you taken a look at giffgaff? You can order a free SIM card via this link. With giffgaff goodybags, you get the BlackBerry Internet Service added for free. The cheapest suitable tariff costs £5/month and includes 100 minutes, 300 texts, 100MB of data and the BlackBerry Internet Service. To enable the BlackBerry Internet Service in your giffgaff account, log in via their website and check the box under My Profile and Settings. Your website is really good !! I have a question for you; do you know any operators that do a PAYG sim but does not have a time out? In other words as long as you turn the phone on from time to time; say a few times a month you don’t loose your credit? Thanks for your comment. Typically, there’s no expiry on Pay As You Go credit providing you keep the SIM card active (e.g. by using it once every 180 days). The £1/week deal you mention on EE is actually a bundle which is why credit is deducted automatically from your account. On EE, you can stop this from happening by texting STOP PACK to 150. More generally, it’s worth taking a look at my comparison of Pay As You Go networks (just be sure to avoid buying a bundle). I am a bit confused as to the best PAYG sim for me. I need a second phone number for work purposes, that I can give to people who I do not want to know my main number. I will use the number mainly to receive calls, but will occasionally need to make them and to send a few texts. I won’t use the phone enough to top up on a monthly basis. I was hoping to be able to but £10 of credit and use it until the credit ran out. It seems that the deals listed only last for a months and then you have to renew to bundle each month. Thanks for your comment. On most mobile networks, your Pay As You Go Credit actually has no expiry (the only condition is you keep the SIM card active – normally by making a phone call at least once every 6 months). The deals you’re talking about where the airtime will last for only one month are Pay As You Go bundles with a 30-day expiry (just be sure not to choose one of these tariffs). At present, my recommended deal is a giffgaff Pay As You Go SIM card. It’s 10p/minute and 6p/text – the credit doesn’t expire providing you use the SIM card at least once every 6 months. Three is much better value (3p/min,2p/text , 1p/MB). Assuming you split equally,, £10 gets you 111 mins, 167 texts and 333 MB. But no one splits equally, so decide which you’ll use most and see which is most important to you. Flying in the face of convention, our `gadget` uses text messages to send alerts and receive instructions. We have no current interest in voice calls or data. Our biggest problem is the differing way each network seems to use to check credit. Our `Gadget` needs to check it’s own credit and send a message to the user to top-up when the credit gets low…. 1) Are you aware of a standardised process across various networks for getting the credit either on-screen or preferably as an incoming text message ? `On-screen` is kind of academic as our device has no screen, but I’m going to presume our gadget would see it as some sort of output from the GSM chip. It maybe that the on-screen balance once requested comes back as a text and is intercepted by the phone and put on-screen ? Don’t know that yet. 2) Part of the income stream to support the low price comes from a monthly premium rate *text* message. Can all PAYG SIMs support premium rate texts ? Can the user put the SIM into a phone, disable the premium rate availability on the SIM (as you might do with a child’s phone for example), and then put it back into our device ? Did all our initial testing with O2 and Vodafone SIMs, then put in an EE one only to find you can’t request the time from the EE network 🙁 Damn those network inconsistencies ! That’s kind of it for our current queries. Your site is a a fantastic resource and I hope you make yourself some revenue from it ! 1) Unfortunately, nope, I’m not aware of any standard way to check the remaining credit on a Pay As You Go SIM card (it’s different for each network). You also can’t rely on the format of the messages coming back from the network (they often change e.g. when the networks want to promote a service). 2) I believe most mobile networks do allow this (though I’m not sure it’s 100% of all networks). Some mobile networks do allow the bill payer to block premium-rate text messages on the account (e.g. for under 18s). You’ll need to follow the PhonepayPlus code of practice when running your premium-rate service – check to see whether this is possible if the user isn’t able to easily unsubscribe. Finally, it’s worth pointing out that the terms & conditions of almost every UK mobile network don’t allow you to place a normal Pay As You Go SIM card into a non-smartphone device. Hence, people using their normal SIM card in an elder-care device can potentially see their service being disabled for violation of the TOC. Technically, I believe you’re supposed to get a M2M SIM card for use in the device – it should work much more reliably than a standard smartphone SIM card though it obviously introduces a lot of other complications (it might still be worth contacting a few companies to see whether they’re able to offer anything suitable). Thanks for that informative and insightful answer ! I have been looking for a free PAYG sim card which allows me to top up with a minimum of £5 and has lower call rates. It seemed that the TalkMobile Essentials tariff would be ideal but I have now been advised by them that the sim card is £15 plus top-up so have ruled that option out. As far as I can see the only networks offering £5 top ups are Orange and Vodaphone. I have had an Orange ‘phone for many years but have noticed in recent years that I cannot get a signal where I live or in other rural places, it is only strong in towns. I decided to buy a sim-free handset (Samsung E-GT1270) and obtained a free 02 sim with £20 free credit which expires after a month. The 02 signal is excellent so I now have to decide what to do after the first month. I can stay with 02 but sign up with Giffgaff or Tesco Lite to get the lower call rates but pay £10 to top up (which would last longer) or switch to Vodaphone and pay higher call rates. Have you any thoughts on this ? Thanks for your comment. I’m currently aware of three networks offering an option for £5 top-ups: EE, Three and Vodafone. For £5 top-ups and lower rates on calling, it might be worth having a look at Three’s 321 tariff (3p/minute, 2p/text and 1p/MB). The initial top-up must be £10 or more but you can subsequently top-up by £5 online. Otherwise, I generally think it’s a good option to consider giffgaff or Tesco Lite. Although they have a £10 minimum top-up, the top-up will still be there for you to use and it would last you twice as long as a hypothetical £5 top-up. In my opinion, it doesn’t make sense to pay more for your calls simply so you’re able to top-up a smaller amount every time. great advices! i just moved to the uk. now i need a new sim card… what would you suggest is the best to have in addition cheap calls within the eu? Thanks for your comment. I’d recommend having a look at my Pay As You Go price comparison table. You can also take a look at the list of available bundles and my table of costs when calling the EU. For you, the best all-round option will probably be giffgaff (see a review here or grab yourself a free SIM card). They have pretty good rates for using your smartphone in the UK and also for calling abroad to other countries. This question is answered fully in my article on Pay As You Go credit expiry & account termination. To summarise, unfortunately all Pay As You Go networks here in the UK will disable your SIM card if you don’t use it for more than a certain amount of time (normally 6 months but it can vary depending on the network). As a further consideration, please be aware that many Pay As You Go SIM cards are only designed to work in a smartphone (it might be against your network operator’s terms & conditions to use the SIM card in an alarm so please double check before ordering a SIM card). Hi Ken, thanks for the useful site. Before I started using data on a smartphone I loved the convenience of topping up my PAYG credit at a cash point as and when I needed to. Once I got my smartphone I found I had to buy bundles to get the data I need and that meant no more cash point top-ups, and my current provider’s bundles expire after 30 days. Is there a mobile provider with whom I can top up at a cash point, get data, and not have to do so on the same day each month? I’m a pretty average user of calls, texts and data. Cheers. Thanks for the great question! With most Pay As You Go networks, you’ll need to buy a monthly bundle to get the best value when accessing the internet (with these, the bundles will only last for one month so you need to top-up every 30 days). If you don’t want to buy a bundle for your phone, you’ll need to pay standard Pay As You Go rates as mentioned on this page. You’ll probably that find either giffgaff or Three offer the best value. The latter offers ATM top-ups at a Barclays, HSBC, Nationwide, Coventry, Yorkshire, Clydesdale or Creation ATM. I spend 6 months of the year (Summer – I’m retired) in Greece, and the remainder in the UK. I’m a very light voice and text user and currently run separate PAYG accounts in each country but without Internet access on my stream-age non-smart phone. I’m now looking to get a smart phone, and am bombarded with offers of a free phone if I take up a monthly subscription, but all companies go quiet when I tell them I’ll be out of the country for 6 months. Is a PAYG in Greece and a PAYG in the UK still my best option? Or do you have a better solution? Thanks for your comment. For the time being, your best bet probably would be to continue using Pay As You Go in both countries (do make sure however you’re getting the best deal in both of the countries). I would probably recommend a Pay As You Go bundle (e.g. £10/month on giffgaff will give you 500 minutes, unlimited texts and 1GB of internet)… you only need to pay for a bundle for the months you spend here in the UK. Going forward, the EU is proposing to abolish roaming charges in Europe on the 15th December 2015. Hence, it’s probably worth waiting until later this year to see whether any new deals are available at that point (this will save you the hassle of having to change SIM card). Ken – thanks a lot. At last something to work on. Not just salesman’s waffle. Much appreciated. Hi Ken, i am looking to buy a pre-paid SIM to use in a security device in my car. It uses data to upload its GPS coordinates to a webserver. I guess my best option is to find the cheapest per MB provider. My only concern is whether the allowances can expire before they are used up. Other than that it seems 3 is my best oprion. Could you please advise? Thanks for your comment. If your car is regularly uploading data to a server, there shouldn’t be any problem with SIM card expiry (on most networks, you simply need to have a chargeable event at least once every six months). As you mention in your comment, Three currently has the lowest per-megabyte rates but I would recommend a little bit of caution: the 321 SIM card is only designed to work in a smartphone (it’ll be against their terms & conditions to use the SIM card in another device e.g. in your car security device). EE charges a 30p/minute flat rate when you call any network (or you can use the minutes included in a pack). For more information, you can see our full review of EE’s Pay As You Go tariff. Hi there, I am getting a BlackBerry Curve 8520 and I will be using a T-Mobile Pay As You Go Sim Card for BBM, BlackBerry Services etc. How can i use BBM over wifi? Do I need a special type of plan? Since the BlackBerry Curve 8520 uses an older version of the BlackBerry OS which is BlackBerry 5, will I still be able to use BBM over wifi? Can you help me and fill me in which all the information I would need. I will be very thankful. Thanks for your comment. To use BlackBerry Messenger on a BlackBerry 5 device (either over 3G or Wi-Fi networks), you’ll need a mobile tariff with the BlackBerry Internet Service included (the BlackBerry Smart Packs from T-Mobile are one good example). You still need the BlackBerry Internet Service even if you only use the handset over Wi-Fi (this is because all internet traffic goes via BlackBerry servers which require a subscription). This is a really useful blog, thank-you very much. I am looking for a new SIM for my daughter, she doesn’t talk much on the phone but averages about 50 texts per day(!) It looks like she’ll be best on the £7.50 GiffGaff (rather than a contract). She’s got a dual SIM phone so she can keep her existing White Mobile SIM for phoning us from Uni as well (we only get T-Mobile based operators signal at home). I see that there are some comments about White Mobile in this Q&A section. This is the network that everyone in our family has had for the last couple of years. We find it’s great as it’s made our mobile bills extremely cheap because of the free White to White calls, cheap “other network” calls and really cheap mobile internet. Their (telephone) customer services leaves a lot to be desired though. White Mobile might be worth adding to your list? Thanks for the feedback! As you say, giffgaff sounds like a pretty good choice at £7.50/month… another one you could also consider is ASDA Mobile (£5/month for 100 minutes, 2000 texts and 100MB of internet). The 2000 texts per month should suit her pretty well: another major benefit is they use the EE/T-Mobile network (hence she’d still be able to get coverage when she comes home). The downsides of course are only half as many minutes and half as much data so the giffgaff option may still prove to be better value. Many thanks and have a great Christmas! I’ve recently unlocked my iPhone 5 in order to upgrade my mums old phone. She is a very light PAYG customer with EE (or orange Dolphin as it was called when she initially got the SIM). Now that we need to get her a nano sim for the iPhone 5 I’m slightly confused by the PAYG offers. If she only uses the phone very sparingly and doesn’t top up very often which nano SIM provider would be best? I visited the EE store and the packages on offer mean that she has to top up every month. I don’t want her committed to topping up in this fashion – I only want her to top up when her credit is low. The Carphone Warehouse staff member recommended Lebera as a SIM but she will not benefit with the domestic call charges. Could you please help as this is for Christmas and I thought this would be much more straight forward. Also do you know if there is any way of transporting a PAYG number to a new SIM card? Thanks for your comment. First of all, it’s not necessary for your mum to change her tariff only because she’s upgrading to an iPhone 5. She could simply ask Orange to replace her current SIM card with a smaller nano-SIM: it’s totally free of charge and she’ll be able to keep the tariff she’s on. If you are thinking of shopping around, take a look at my Pay As You Go price comparison table. She could potentially save money by changing to another network (e.g. Three only charges 3p/minute, 2p/text and 1p/MB with no minimum monthly top-up). Alternatively, giffgaff is another great choice: they charge 10p/minute, 6p/text and 20p/day for up to 20MB of internet. With regards to transferring your phone number, it is indeed possible to do this. If you’re changing network, you’ll need to go through the PAC Code transfer process. If you’re simply replacing your current SIM card with a smaller nano-SIM, Orange should do this automatically for you. If they don’t you can also cut the sim card down to nano size yourself. Have to be very careful but it can be done. I downloaded a template by doing a google search and used that. Works like a charm. I’ve just got an ipad mini 🙂 and although it will be rare I will sometimes need it to browse the internet, check emails etc.. when I’m out and about and cant find a free wifi connection, can you recommend a good data only sim that wont tie me into any contract and has good UK coverage? Is the GG one still the best ? Unfortunately it’s now very difficult to find a tablet or mobile broadband SIM card where the credit doesn’t expire and where you’re not tied in to a monthly contract. As you say, giffgaff is still one remaining option – it’s 20p/day for up to 20MB of internet. Alternatively, you could try tethering from your smartphone. With tethering, you can make use of any data already on your smartphone contract (most tariffs now allow this but you should double-check just to be sure). I am aware of a Tesco Pay as you go “Lite User service”, which seems to be very competitive but cannot find any information that fully describes the service, not even on the Tesco web site. Thanks for your comment. On Tesco Mobile ‘Pay As You Go Lite’, you’ll pay 8p/minute and 4p/text. See this section of my recent article on Tesco Pay As You Go. You can switch to the tariff by ordering a Tesco SIM card and by calling 282 to switch to the Lite tariff. A full price list can be found on Tesco’s website. Thank you very much Ken, lots of info to digest and very helpful. What would you recommend in needing a payg sim for a phone we keep in the car just in the event of a breakdown. We have contract phones (which we often forget to take out with us on short journeys) so have always thought of having a cheap phone (again which we have plenty of on renewing contracts) but thought that having a working phone we may need to use on the odd occasion. I have noticed ASDA offer a free sim and calls are only 8p /Minute. Am I right in assuming we don’t need to top up every month? This sounds like what we need. Lastly, do we need to make a call every so often just to keep the sim alive? That’s right: there’s no need to top-up every month on the ASDA Free SIM (the same is true for most other networks – simply make sure you avoid buying a monthly bundle). On ASDA, you’ll need to use your phone at least once every 180 days (otherwise your account will be closed and your number will be lost). Take a look at my article on Pay As You Go inactivity for more information. Thanks Ken, have read the articles mentioned and now know where I’m heading. Keep up the great advice, I have certainly benefited from it. Thanks again. Which sim card is best for a Blackberry phone? I want a pay as you go sim that is best for BlackBerry. I’m thinking T-Mobile at the moment. Are you using a phone with BlackBerry OS 10 or an earlier version (e.g. BlackBerry 7 or even earlier versions). On BlackBerry 10 handsets, it’s no longer necessary to have a special plan (the BlackBerry Internet Service is only required on BlackBerry 7 and earlier versions). You could hence choose any of the deals on this page. For BlackBerry 7, you’ll need a special BlackBerry tariff. As you mention, T-Mobile offers BlackBerry-compatible tariffs from £10/month (though you’ll need to text a special shortcode). Other tariffs which might be worth considering area ASDA’s BlackBerry bundle (£5/month) or giffgaff’s BlackBerry add-on (£2.50/month on top of your normal goodybag). I found & read your Blog today but didn’t see anyone ask about White PAYG. I am retired in the UK & wish occasional mobile calling use with some internet access when away from WiFi contact. I ordered an unlocked cheap mobile off the internet to replace my 4 year old press button Nokia and to get away from expensive 29p/minute Virgin PAYG. At the same time I sent off via White’s rather information-less web page for a ‘free’ SIM card, after a good review on its low 2p per minute PAYG rate (?) & access to a small quantity of internet (20MB/day for 20p. The SIM pack arrived this morning, unfortunately there’s still no info. on their inland PAYG rates, or how frequently one must use it to keep it alive. I’m a little suspicious of their marketing ploys & as you are independent & knowledgeable would like to hear your opinion please. Thanks for your comment. Unfortunately, I don’t have much experience of using White Mobile (I think this is a very small network with only a fraction of the users of other networks). I’ve just taken a look at the prices on their website: they seem to differ quite substantially from what you mention in your e-mail. UK calls are 6p/minute (discounted to 3p/minute if you’re calling a landline). Internet access is also 2.5p/MB (it’s not capped based on daily usage). Rather, the 20p/day for 20MB of internet sounds more like what you’d get on giffgaff. My personal recommendation would probably be to go with a more mainstream network (e.g. Three charges 3p/minute, 2p/text and 1p/MB). You could also consider a network such as giffgaff: calls are 10p/minute and internet costs 20p/day for up to 20MB of data. I had a giffgaff gigabag for my tablet which I used via a Huawai mi-fi device. I only used it when no other Wi-Fi was available and it last me around a year. However, it seems I now have to top up with at least £5 every month, is that true? Thanks for your comment. giffgaff’s £5/month gigabag gives you 500MB of 3G data to use every month. If you’re using this gigabag, you’ll need to top-up by at least £5 every month. If you only use your mi-fi very occasionally, you might be better off on Pay As You Go rates. This is 20p/day for up to 20MB of internet. On PAYG rates, there’s no regular monthly spend – your credit could last for a year or even longer. Do be warned however: you’ll be charged 20p/MB if you go over the 20MB/day limit. For instance, if you were to use 50MB of data in one day, you’d be charged a mammoth £6.20 for that day’s usage. So really, the best value tariff will depend on two things: how often you use the mi-fi and how much data you would expect to use on those days. Unfortunately, pretty much every network requires you to use your phone at least once every 6 months. If it might be of interest, I recently wrote an article about this topic. If you want to maximise how long your credit is able to last, you could go with Family Mobile where you only need to use your phone once every 12 months. An easier solution would probably be to set yourself reminders to use the phone occasionally. I personally use Google Calendar to do this… Set up an e-mail or SMS reminder to use your phone at least once every 6 months (the cheapest way to do this is sending a text message – it’s 14p a go so you can keep your phone active for 28p/year). I’ve just clocked this detail with the mobile companies and “pay as you go” which actually is totally misleading and it should be raised with the advertising standards. I’m looking for a deal like Dominic for several months now, ie a backup phone for occasional use, covering UK and abroad for remote network access into UK. Now in the good old days I used the Orange network “pay as you go” which did just that, as & when it needed a top up it was done through the cash point. They all seem to have this horrendous 30 days (or some such nasty fixed day rate) automatic charge regardless of what’s been used, so actually a non comitted monthly contract, but still definitly NOT “pay as you go”. Why do they exist? It’s no different from a no commitment monthly charge that I currently have with O2? Thanks for your comment. Although 30-day bundles have become much more popular in the past few years, it’s not actually necessary to add one to your account. You can simply use your phone on normal Pay As You Go rates with no automatic charges on the account every month. The credit will last indefinitely providing you keep the phone active by using it once every 6 months. There’s a full comparison of classic Pay As You Go packages over on this page. How can i cancel my pack on EE pay as you go. I’d rather pay for calls, data and texts with my credit. You can stop your packs from auto-renewing by texting STOP PACK to 150. For more information, please see the ‘How To Buy A Pack’ section in my full review of EE Pay As You Go. Yep – it’s still possible to pay for calls on a per minute basis… it’s 30p/minute so will work out cheaper if you use less than 17 minutes in any given month. Do be aware that Vodafone will round the length of your calls up to a full minute (so a call lasting 1 minute and 5 seconds will be charged as 2 full minutes). i’m thinking on joining t-mobile can you help me with this? Thanks for your comment. You’ll be glad to know I posted a full in-depth guide to T-Mobile Pay As You Go only yesterday evening! Take a look and see whether its useful! Do drop me another comment on that article if you have any questions. Would I be correct in saying that all mobile payg networks stipulate that you have to top up each month and any unused credit is not transferred to the following month’s allowance. I used to be on Asda mobile but never ported across when they swapped provider from Vodafone to EE. I hope I’m not being obtuse here but when I’ve investigated company websites (and user forums) for example such as GiffGaff it is very unclear whether you can stick a fiver on the SIM and use it once every six months without the credit being lost or the SIM expiring. Any help in putting me right would be greatly appreciated! Nope! The major providers have been trying to move their Pay As You Go customers over a monthly bundle (this is where you top up every month and get a set allowance of calls, texts and internet). It’s still possible to use your phone on traditional Pay As You Go – your credit will remain until you actually use it and will last indefinitely providing you keep the SIM card active by using it occasionally. Most networks stipulate that you use your phone at least once every 6 months though it can be shorter on a couple of the networks. Thanks for putting me straight Ken. As suspected it appears that GiffGaff want to push you towards “bundles”. Will have to investigate which is the best option for me. Thanks again for your prompt reply. P.S. Your website is a great resource for info – keep up the good work! I need a pay as you go data sim for my notebook, to which I can top-up when required, but which does not gobble up the money at the end of the month, or 90 day period. Like an Oyster card on London transport. I put in the money and use it any time. This exists abroad, but is it available in the UK? Thanks for your comment and apologies for the delay in replying! I’ve been searching around and unfortunately it’s very difficult to find a Pay As You Go Mobile Broadband SIM card where you don’t need to buy a 30 day bundle. The closest I’ve found is giffgaff Pay As You Go: you’d pay 20p/day for up to 20MB of data and then 20p/MB after. It’s good for light & occasional usage but the costs will quickly add up if you were to go over the 20MB/day limit. For occasions where you need to use a bit more data, you can of course upgrade to the £5 gigabag which gives you 500MB of internet or the £7.50 gigabag which gives you 1GB of internet. These will last for up to 1 month. Many thanks, Ken, for the reply and suggested solution. One thing I am not clear about. Does one loose the 20p per day whether one uses the internet or not, or is it only on the days one actually uses the internet? Is EE both t-mobile and orange? Orange and T-Mobile merged their operations in 2009 to form a combined company known as “Everything Everywhere”. At present, the company has three sub-brands under which they offer a Pay As You Go service: the 3G-only Orange and T-Mobile brands and the 4G-enabled core EE brand. You’ll get the same 2G & 3G coverage on all three brands though 4G is only available on EE. Tariffs and pricing differ very slightly between the three networks. 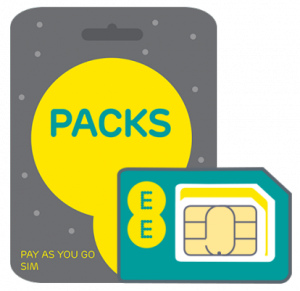 How can i be on EE pay as you go without having to buy the packs every 7-30days? I just want to have the freedom to be on EE pay as you go. I want to pay and go. I may buy add-ons from time to time with my credit. Thanks for your comment! It’s not necessary to buy one of the bundles (just make sure you don’t opt in to buying the packs or if you need to opt-out then text STOP PACK to 150). Without a pack on your account, you’ll pay 30p/minute and 12p/text. Internet access is only available if you choose to buy a pack (the £1/week pack with 100MB would probably be the cheapest option). For more information, please see my full review of EE’s Pay As You Go tariff. Which network has the best 2g, 3g, and 4g network? And which network gives good minutes, texts and data? Thanks in advance. Thanks for your comment. Unfortunately, there isn’t a simple answer to your question! The best network for coverage will depend very much on where you are living. I have an in-depth article on how to compare coverage between networks if you’d like to read a bit more on this topic. With regards to the best tariffs, you can also see my full article on Pay As You Go bundles. This has all the tariff information is one easy-to-read table. Is EE pay as you go and T-Mobile pay as you go any good? In general, they’re both pretty decent services – take a look at my review of EE Pay As You Go and T-Mobile Pay As You Go for more information & a full comparison to other networks. For a better value alternative that uses O2 coverage, you might also consider joining giffgaff (£10/month for 500 minutes, unlimited texts and 1GB internet). Thanks for your comment. The right network will depend on your usage: if you want more info take a look at my article on Pay As You Go rates and Pay As You Go monthly bundles. In general, giffgaff is the most popular network amongst our readers by a very long way. They have fairly good prices (£10/month for 500 minutes, unlimited texts and 1GB of internet or you can Pay As You Go at 10p/minute and 6p/text). They also use coverage from O2. Hey Ken can you help me? I don’t use phones. But I only need to make one call a week to the USA from a mobile to a landline; the call would last 60mins every week. I would not use the mobile for anything else. What is the best option for me and how much would I be looking to spend each week? If you’d like to call using your mobile phone, it’s worth having a look at giffgaff (you can order a free SIM card here). They charge 3p/minute for calls to the US so you can expect to pay £1.80 for a 60 minute phone call (approx £7.80/month). If you have a smartphone and wi-fi internet, it might be worth having a look at the Skype application. Skype has a £3.44/month subscription where you get 400 minutes for calling the US. This would work out cheaper than calling over a mobile network. Thanks so much ken, that was really kind of you to reply. I think I’ll have to buy a smartphone and go for the skype option. 🙂 Thanks again. I will be arriving in London in October and will need a SIM card for 3G and GPS as I’m driving up north towards the Lake District. Currently I’m looking at Three because they seem to have the cheapest deal for unlimited data. Would you happen to know how good the coverage of Three’s network is outside of London, especially in the countryside? Also, would you know if Three has a booth at Heathrow airport? Thank you! Thanks for your comment. If you’re planning to visit a rural area such as the Lake District, I wouldn’t recommend choosing Three as your network. The main reason being they don’t provide a 2G mobile signal. In rural areas without 4G coverage, you’ll only have access to a 3G signal (in the UK, 3G has very limited range compared to 2G). O2 and Vodafone will probably give the best coverage when visiting a rural area. Have a look at my guide on UK mobile coverage for more information. With regards to Heathrow, I believe there are vending machines and SIM card retailers in some of the terminals. I’m not sure which networks they cover but it’s best to avoid them if possible (they’ll charge £10 for a SIM card you could otherwise obtain for free at the mobile networks’ own store). From memory, none of the UK networks have an official booth at Heathrow. Your compilation and the comments are really useful, thanks for them. If you have possibility to guide me on which PAYG is supporting call forwarding, MMS and has good international rates, that would be helpful. My “study” showed, that GiffGaff supports it, although Lebara ha s better international tariffs, although not supporting call forwarding. As for Lyca which is also good for international rates, I was not able to identify their call forwarding policy other than in the terms & conditions or customer code of practice: “you agree not to use the SIM Card or the Services and not to permit another person to use your SIM Card or the Services:” “•	to support calls to call forwarding services, onward calling services or calls to telephone numbers which pay a revenue share or resell to others or commercially exploit our Services. I am not sure whether they provide call forwarding service beyond this limitation. Could you give me advice on that? Thanks for your comment. I believe very few networks support call forwarding on Pay As You Go – the main reason being it can very quickly your PAYG credit. giffgaff is one notable exception (aside from that, unfortunately, I don’t have a list of which networks support call forwarding/divert). Handy review, but a bit light on details. In particular you’ve missed the point that BackBerry users (except on the latest versions) have to use BlackBerry Internet Services, and the companies are not very up front in pointing this out. I looked forward to my expensive virgin contract running out and had been eyeing up the GiffGaff offers for some time. So, I’m waiting till Sept 9, when my next GoodyBag with the BIS premium included, kicks in, and then my sim is going back in the good old Curve, despite it’s tiny memory and browser that won’t load anything without turning off Java! Incidentally, GiffGaff is changing its charges for new customers at the end of Sept, and the unlimited £12 bag will only be continued for existing customers. So, if you have broadband at home, and link up to that instead of using the mobile network, you may be better off with the £10 bag, as opposed to the ‘unlimited’ ones, which will be more expensive from the end of Sept.
Giffgaff has appalling customer services – they exist only virtually. There is no way to call somebody. Answers to your questions come typically next day. In my case, I bought a monthly “goodybag” with “unlimited internet”. Used it for 2 days on iPad and got banned. The message stated: “SIM blocked due to unusual activity”. Apparently it is illegal to use mobile internet with this offer on non-phone devices. There was no such information on a page with the offer. There was no warning, just immediate ban. Now they say, that I could have my mobile data transfer re-activated after 12 weeks if I buy another monthly goodybag from them (sic!). Wasted 12 pounds and 5 days for useless emails. They claim, they would be happy to help, but cannot do a thing. I’m surprised that your top pick is Giffgaff as it is one of the more expensive virtual networks. Unless you buy a bundle, the calls are 10p per minute and the texts are 6p and data 20p per day for up to 20mb (and 20p per mb thereafter). Ridiculously expensive for a virtual network! Many other virtual networks give you free calls within network (like GG) but have cheaper (non bundle) rates – for example White Mobile have unlimited free calls and texts within network, and calls to other networks are 3p/6p per minute for landlines/mobiles, texts 5p, and data 2.5p per mb. White Mobile also give you free voicemail, unlike GG which charges 8p per minute. Three 3 2 1 is cheaper still, and if you use a call-through number, calls to landlines in the UK and abroad (for many countries) are only 2 per minute. 1) They offer great value goodybag packages and are ideal for the average smartphone user. On top of that, their goodybag line-up has been remarkably stable. In contrast to this, Lycamobile changes their bundle line-up at an incredibly high frequency (e.g. unlimited 4G data cost £12/month only in May – its now gone up to £15 already). For long term users who don’t want to change their network every month, a stable bundle line up provides a lot of certainty and value (it’s easier to plan for the future). Compared to other networks (Three in particular), the PAYG rates are slightly higher. Hence, light and occasional users should probably choose Three’s 321 tariff. 2) From the 1st January 2014 to the 10th June 2014, 40% of readers on our website chose giffgaff as their network of choice. Thank you very much for your review. I run a guesthouse in Cambridge and everyday I have to answer this question. My answer was “I’m so sorry, I really don’t know which one is the best”. Now I can tell them to read your review. I would be nice if I can share this on my facebook. Thanks for your comment and I’m really glad the page was useful! You are more than welcome to share our link on Facebook – I really appreciate all of the kind support! I come in the category I suppose of the unattractive network user?? I am an exceedingly low user that very occasionally wishes to make use of it for emergencies that might arise (e.g. car journeys, holidays) and so time can pass for many months without use! Hence, I am vulnerable to losing my top-up fee each time when the account is closed!! Is there any PAYG (or alternative) way of obtaining the best deal for me, please? Thanks for your comment! Take a look at my earlier article on the time it takes for your PAYG credit to expire & for your account to be closed by the network. My recommendation is to choose a network where your credit will last for the maximum amount of time (currently 6 months). To keep your account active, you’ll still need to make a note to use your phone at least every 6 months. Three would be a good value option: simply browse the internet or send a text message every twice every year and you’ll be able to keep your account active (with data costing 1p/MB, the minimum annual spend would be only 2p/year). You titled this page “Pay As You Go SIM cards”, but a lot of the information here applies to contract SIM cards, not PAYG. (Giffgaff is one example, I think Three is another.) Adds to the confusion that I’m struggling with. Thanks for your comment! All of the information shown on this page relates to Pay As You Go rather than Pay Monthly. The one thing which makes it a little complex is that most networks now promote their monthly PAYG bundles. With a bundle, you turn your airtime credit into a monthly allowance of calls, texts and internet. To give an example, giffgaff customers without a goodybag can choose to pay 10p/minute, 6p/text and 20p/day for 20MB of data. Most people choose to buy a goodybag as it provides better value: in this case £10/month gets you 500 minutes, unlimited texts and 1GB of internet. There’s no contract nor any obligation to renew the bundle after it expires. So tariffs quoted “per month” is not necessarily a contracted plan, but might be. Yikes, more muddy water! It seem for someone traveling in the UK for ten days, the monthly non-contract plans make sense: one avoids the 20 MB/day limit on data. Internet usage might be high for a tourist making plans, consulting websites, checking maps, using WhatsApp, etc. Digging through the Giffgaff website, I find that international calls cannot be made on Goodybag plans. I’m still trying to determine what (if any) charges Giffgaff makes for *incoming* international, or even local, calls. Some SIM card vendor advertise that incoming calls are “free” in the sense that there are no charges to the SIM card. By now I think you can probably see how difficult this process is for foreign visitors. Information is spread out everywhere, and difficult to find. Thanks for your comment. In the UK, it’s always free to receive a phone call (whether it’s a call from the UK or from an international number). Like many other countries, we operate the “calling party pays” system (i.e. there’s never a charge to receive a call). I realise this is different from the US where the receiving party will also pay for the call. With regards to international calling, there’s no international minutes included on the goodybags. Instead, you need to pay on a per minute basis (e.g. 3p/minute to call the US). Take a look at this page for full details of giffgaff’s international calling rates. I hope this helps to clarify your query, though do drop me a comment if you have other questions! I have purchased a TT Phone from QVC which is a basic phone with no Internet and wish to purchase a standard sim card pay-as-you-go that I can top up with no contract. I only use my phone in emergencies and family calls. What is the most reasonable charge per minute I can expect. I am 80+ and don’t need anything other than to make and receive calls to family. For a full comparison of per-minute rates, please see the PAYG comparison table I produced earlier on this website. To sort networks by per-minute rates, please click the “calls” column title. To give a brief overview, the cheapest PAYG network for making phone calls is Three (3p/minute). The downside is you need to have a 3G-compatible handset (a simple handset might be 2G-only). Across the other networks, you’re looking to pay around 8p/minute on a low-cost network (giffgaff is 10p/minute but you also get free calls and texts to other giffgaff members). Another consideration should also be the amount of time before credit expires (important for people like yourself who mainly use their phone for emergencies). Thankyou in advance for your support, indeed for all your work on this informative site. i was caught out a while ago when i used all my top up for a bundle and found that i needed separate credit for these type of numbers. do you know how they stand with these numbers. For Orange, the Pay As You Go price guide can be found via this link. On page 16, you’ll see it costs 12p/minute to call 0845 and 0870 numbers. With regards to cutting costs, it’s definitely good to find a non-geographic number (e.g. your bank might list a number you’re able to use when calling from outside the UK – you can often use this number within the UK too). There’s also websites such as SayNoTo0870. Finally, most government departs have switched to using 0345 – using the new number should save a ton in calling costs. Hi, I’m looking for a payg that offers a family subscription. I know Vodafone do but I’m not happy with the intermittent coverage where I live, it’s very rural. We do get Orange though. Do they do a family subscription? Thanks in advance. Thanks for your comment. By a family subscription, do you mean that everyone can call & text each other for no extra charge? One possible option could be to join giffgaff – whenever you top-up you’ll get free calls & texts to other giffgaff members for a period of three months. They’re using O2’s network so you’ll need to have O2 coverage where you live. T-Mobile could be another option: take a look at their £5/month Family Booster option (the person setting up the group will need to be on Pay Monthly). Hi Ken, very useful info, thanks for the view. I am planning to visit UK for 2 weeks. Since my tablet do not support SIM card, are there any pay-as-you-go SIM which also include tethering? If not, is there any other alternatives? 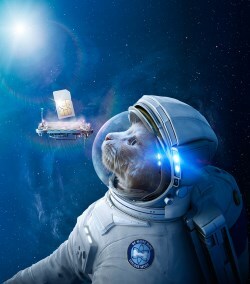 My recommendation is to get the giffgaff SIM card: you’ll get 1GB of internet on their £7.50 gigabag (fully tetherable). Alternatively, go for the £10 goodybag: 1GB of internet (tetherable) as well as 500 minutes and unlimited UK texts. Hi Ken, thank you for the info on your site. I am going to visit the UK for about 2 weeks and would like to go for a pay-as-you-go SIM, with about 10-20 MB data per day. I also will make quite a bit of international calls too. But then, I cannot order a free SIM now, as I do not have a UK address. Please advice. Thank you. If you aren’t able to get a SIM card sent in advance, my recommendation would be to get a SIM card on arrival. Look out for Lycamobile and Lebara Mobile: their SIM cards can often be found in the high street: both networks offer low cost international calling and they have some decent deals for smartphone data. As well as the high street, you can also find their SIM cards at major airports (I remember seeing a large store at Heathrow Terminal 1). If you’re able to get a SIM card in advance, my recommendation would be to order one from giffgaff. They’re pretty good for low data users: 20p/day for up to 20MB. Over a fortnight, you’ll only spend about £2.80 on data. International calls are also fairly cheap – you can see their rates here. Great site I have been using Tesco pay as you go for some time and swapping between Triple credit and Lite as a low user means one month free when you top up and then on Lite at the low rate of 8p for calls 4p for text means incredibly low payments overall. However ‘321’ have knocked this into the park and no need for all that swapping around. Thanks for your comment. Within Europe, you’ll pay up to 7p/minute to receive calls on your UK phone number (this has been capped by the EU). As Switzerland isn’t technically part the EU, mobile networks could differ in the charges they offer for customers in Switzerland. Assuming you receive 100 minutes of phone calls to your UK number whilst living in Switzerland, this might add an extra £7 to your monthly mobile bill. Something worth looking at would be EE’s roaming inclusive plans. You can make and receive calls using your UK allowance whilst being in Switzerland. Another possible deal could be Vodafone PAYG with the Passport add-on. It’s 75p to receive a call on your UK number whilst living in Switzerland (call can be up to 60 minutes). You can also look at getting a Skype Number (£3.35 per month, see my review for more info). You can set up a geographical number in the UK (e.g. 020) from which you can receive phone calls on a Skype-enabled smartphone. How about the ovivo pay-as-you-go sims ? Thanks for getting in touch! You can order a SIM card from Ovivo here. I didn’t include them in the guide above as Ovivo charges £20 for the SIM card. You’ll get £15 of credit on activation however which reduces the effective cost of the SIM card to only £5. I have for years been on T mobile pay as you go with very low use and no time limit on my credit. They now want to charge me £10 every month for the privilege of being on their network. Where should I move to in order to find a tariff with no time limit? If you can handle giffgaff's appalling customer services dept. I hardly ever use my mobile and I thought I was already on the cheapest rate, at £10.50, with 02 unlimited. I phoned them and was never told about 02 simplicity. Whether I am a customer of 02 unlimited or 02 simplicity I am assuming I will still get same price reduction on 02 internet. Is there a provider offering free PAYG calls to same provider mobile without having to top up each month? As far as I'm aware, most of them require you to top-up at some point otherwise the business would be unsustainable. Giffgaff only require one top-up every 3 months so that may be a good option for you! Just to let you know, a new operator arrived in the market, GTmobile, seems to be quit interesting for internationnal call! Thank you Ken for this review. I found looking at some of the indvidual service provider websites quite confusing and were pushing pseudo-contracts a bit too hard. As a light user I chose Asda because of their clear and concise tarrif details (plus no hidden charges) and the ability to add cheap talk minutes as and when I need them. Other points I like about Asda are that they use Vodafone for their network and the call centre staff are really pleasant and super helpful. Unfortunately Blyk closed last June in the UK. See my article on Orange taking over Blyk’s technology.